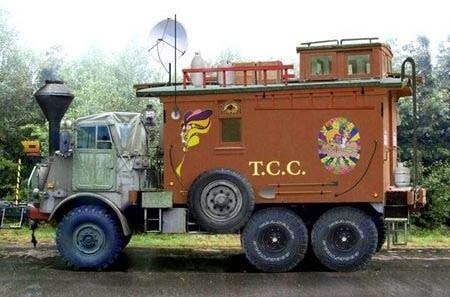 When you combine the beef of a military transport truck with a 6×6 drivetrain then attach a whimsical caboose style camper this is the result. All aboard this crazy train. This is obviously a place where opposites come together to create one of the most unique and unusual truck camper combinations. Of course is it real?